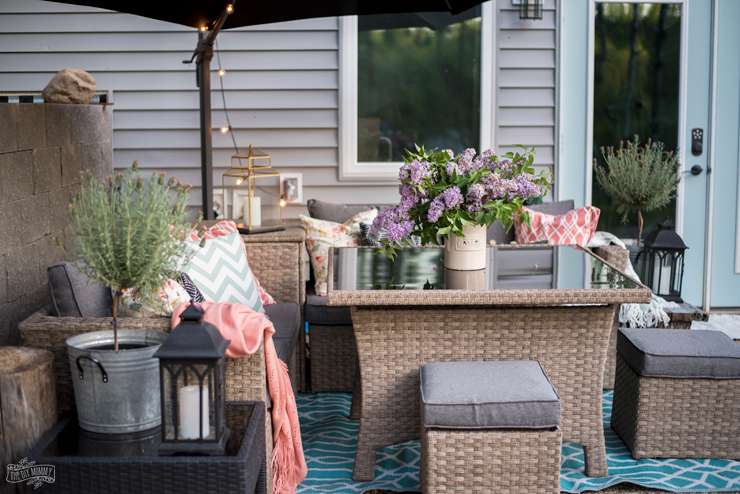 Summer will be upon us before you know it, and now’s a great time to get your patio clean and decorated for the season. 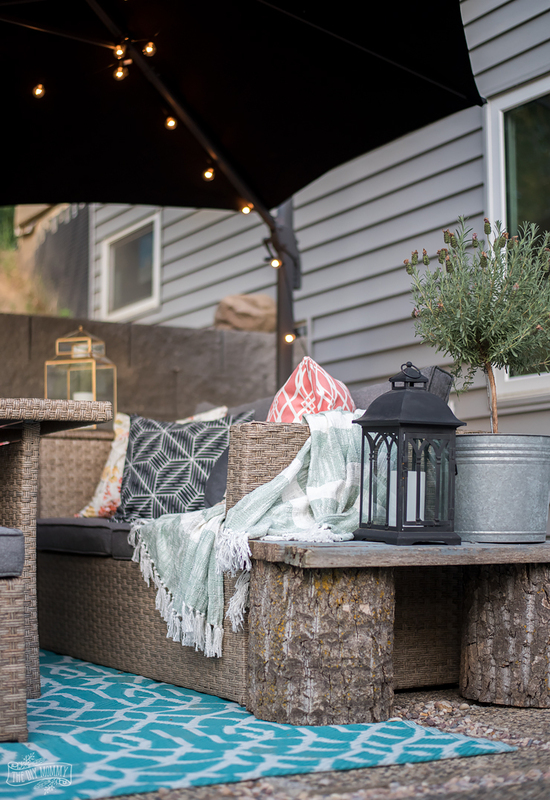 Let me share with you 5 tips to get your patio gorgeous and ready for entertaining, plus I’m sharing a tour of our colourful summer patio! Disclosure: This post is sponsored by STIHL. As always, all of the opinions here are my own. Over the Fall & Winter, our back patio took a beating from all the leaves and snow. I gave it a clean and colourful refresh with a great tool and some quick and easy DIYs! The right tool & some simple, colourful additions made our patio ready for the summer season. I can’t wait to entertain here! Want to give your outdoor space a deep clean & a refresh too? 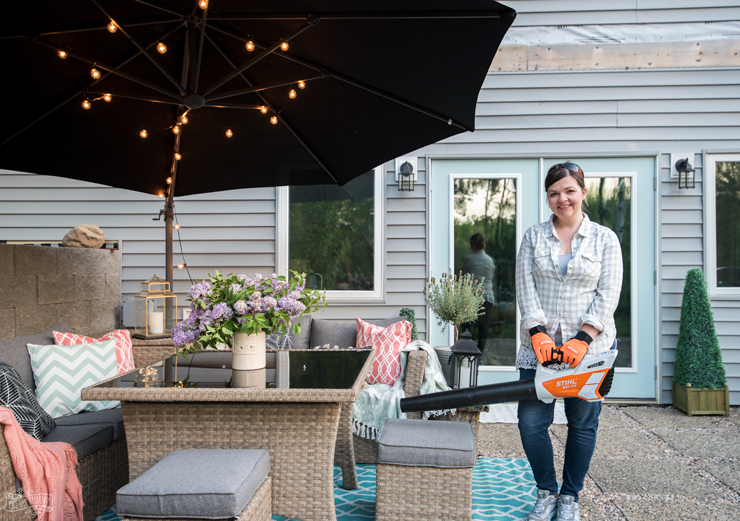 Here are my 5 tips to getting your patio clean and beautiful for summer. The older I get, the more I realize how important it is to have the right tools for the job. The proper tool not only make the job easier, but quicker too! 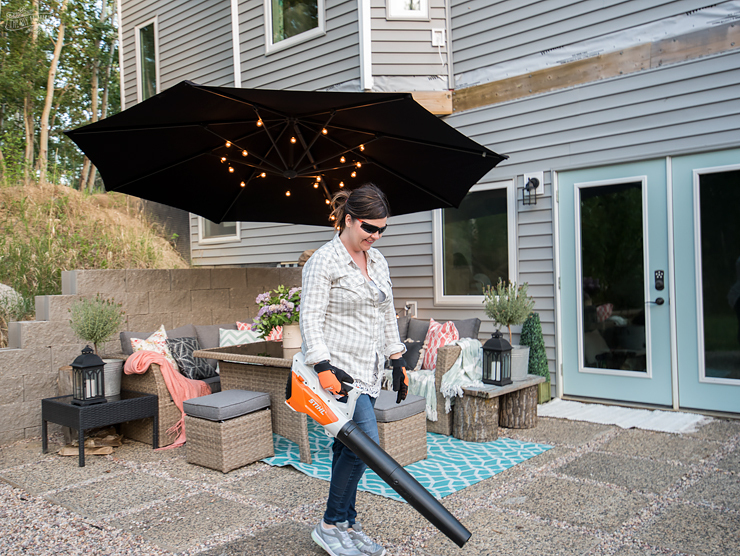 I used this Lithium-Ion Blower from STIHL to quickly and effectively clean off all of the old leaves and debris from our back patio. This tool is super lightweight but powerful, and it makes it so easy for me to blow away any leaves or debris on our patio from last season. Since it’s cordless, it’s easy to move around our entire patio and get every nook and cranny clean. It never ceases to amaze me how much impact a quick coat of paint can make. I gave our patio doors a really easy and inexpensive refresh by painting them a cheerful shade of robin’s egg blue. 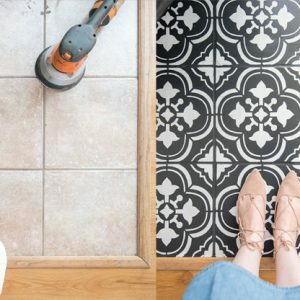 You could paint doors, plant pots, furniture and even patio floors for a beautiful update on a budget. Another trick that I always love to do is making my spaces feel completely new just by swapping out textiles like pillows and throws. 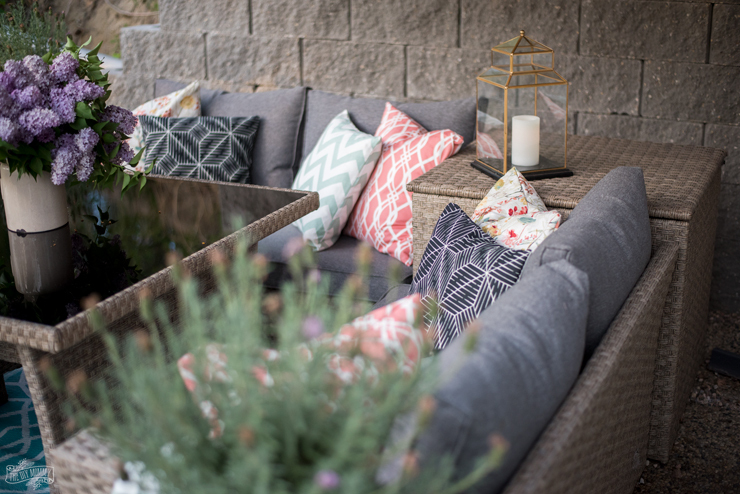 You could buy some new patio pillows, or DIY some like I did for our patio this season. You can get my easy DIY pillow tutorial right here, and use pillow inserts and fabrics meant for outdoors. I used shades of coral, robin’s egg blue, black and white for a colourful yet modern pop of colour. Flowers and plants are an obvious way to add life and texture to a patio space. 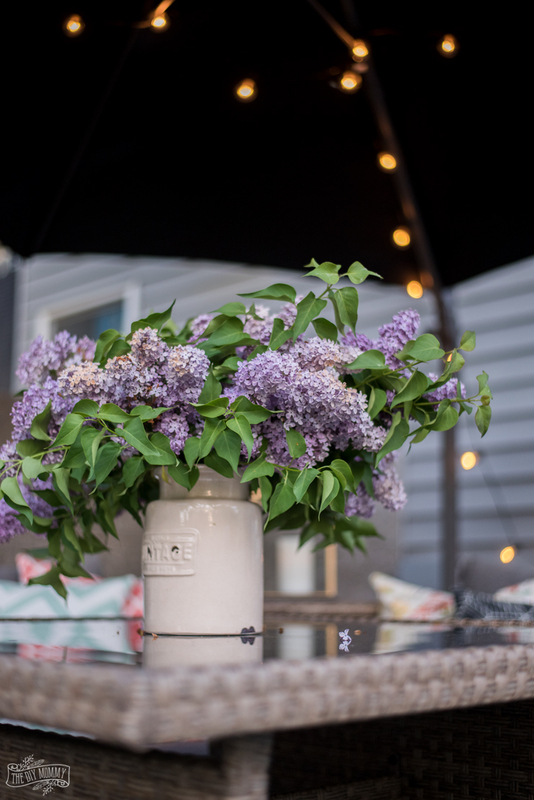 You can use potted plants that work well in your zone and your sunlight situation, or use faux plants and cut flowers like I did on our patio for an easy and low maintenance alternative. I love how string lights and lanterns glow on summer evenings and add a special ambiance to any dinner party or solo relaxation time. You could do like I did on our patio this year and string lights on your patio umbrella, or attach them to your siding with clips or hooks. Outdoor lanterns are also a great way to add mood lighting. I like to use lanterns and faux candles with timers so that they light up at a certain time each evening. 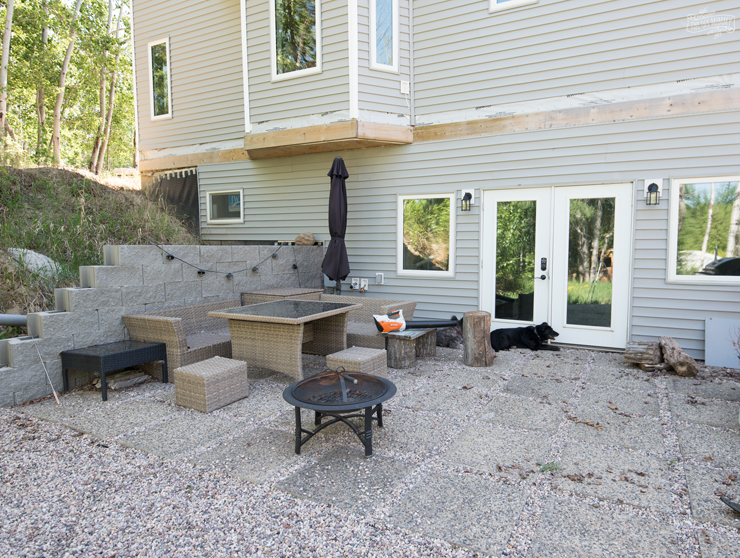 These 5 simple tips will help get your patio ready for summer in no time with little effort. I’m looking forward to spending many afternoons and evenings here as we enjoy our summer outside! Make sure to check out STIHL’s Lithium-Ion Blower right here (it’s SO easy to use! ), and then click here to see all of the other lithium-ion yard tools that will help you get your outdoor spaces ready for summer. 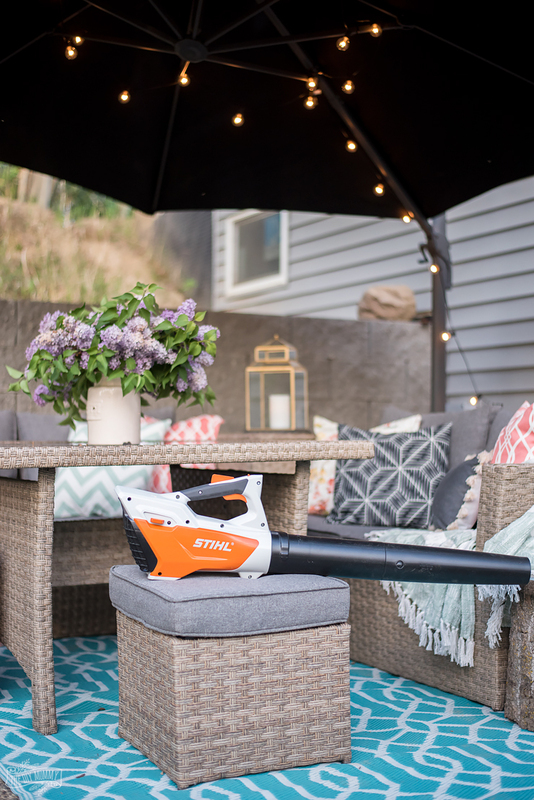 I can’t wait to use my STIHL Trimmer to get our front yard looking summer-ready next! 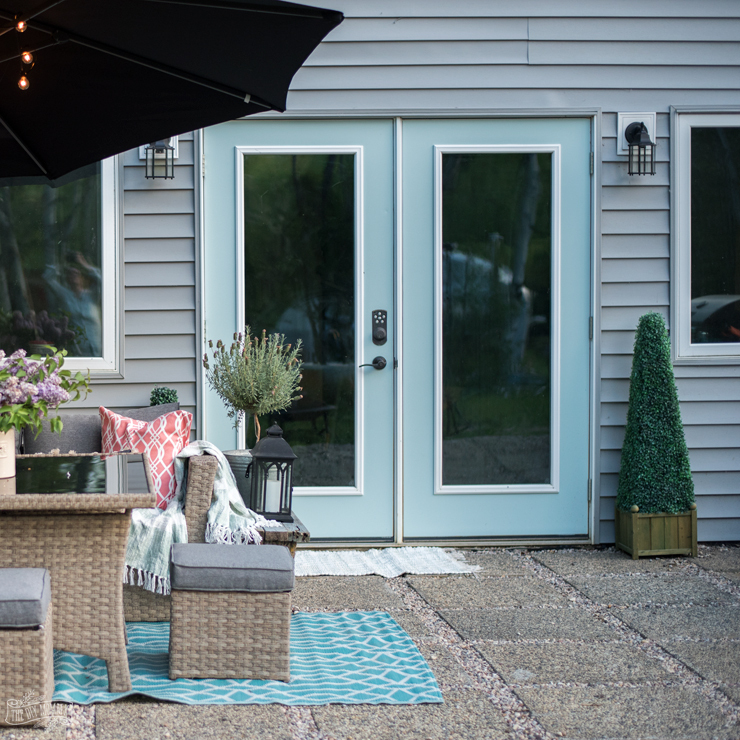 Now tell me: What do you think of our summer patio refresh and how are you decorating your patio this year? That sounds so lovely, Debbie! We couldn’t agree more, let the Summer begin!! Thanks a bunch Christina for this wonderful tips. I’m so grateful. Most especially for sharing with us the idea of the machine called LITHIUM-ION BLOWER which can make work easier for me. 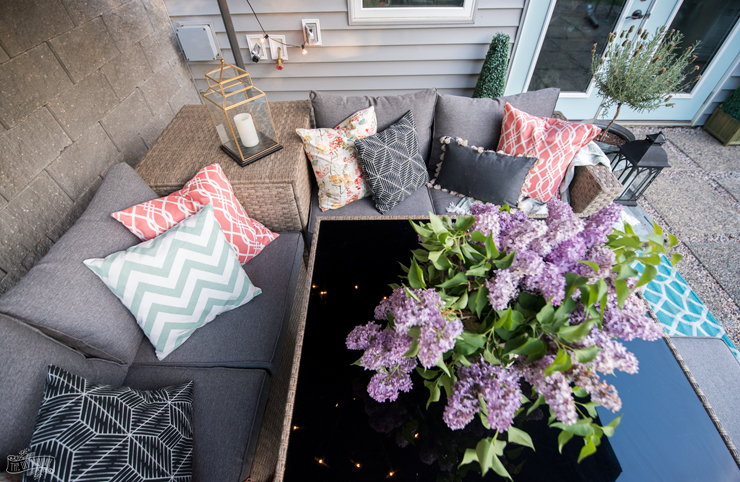 With the these five tips, I could always get my patio refreshed and ready for entertainment. Awesome… The idea of the machine called LITHIUM-ION BLOWER is really nice. It will make work easier for me now. 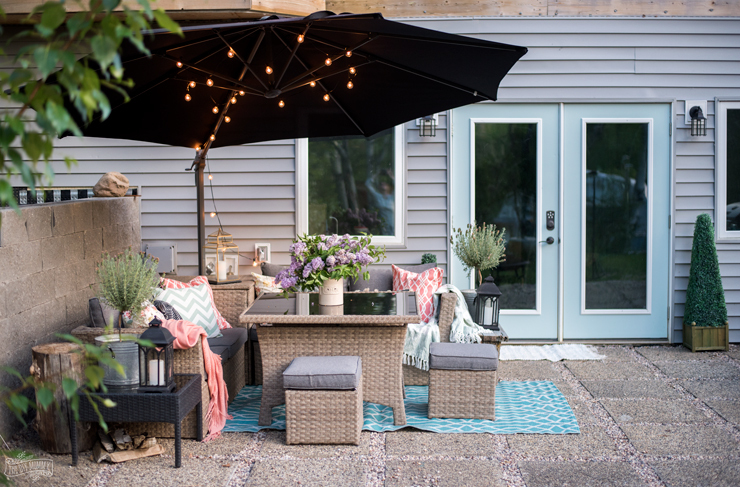 With the these five tips, I could always get my patio refreshed and ready for entertainment. Thanks a bunch Christina for this wonderful tips.